There are Five major articulation points. 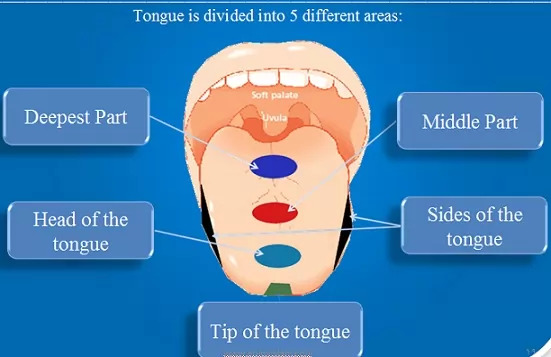 Tongue has 10 different articulation points and produces the sound of 18 different letters. A- DEEPEST PART OF THE TONGUE. Letter Qaf –( ق) From the deepest part of the tongue what lies opposite to it of roof of the mouth (the soft palate) . Letter Kaf – (ك ) From the deepest part of the tongue what lies opposite to it of roof of the mouth (the soft and the hard palate). The kaf is under the qaf a little, meaning closer to the mouth and farther from the throat than the Qaf. B- MIDDLE OF THE TONGUE. – These letters are emitted from the middle of the tongue and the roof of the mouth that lies opposite to it. C- THE SIDE OR EDGE OF THE TONGUE ( ض ل ) . Letter Daad – (ض) It is articulated from one of the sides or edges of the tongue and what lies opposite to of the upper. molars left or right, it can be also from both sides at the same time. This is one of the most difficult articulation points. The area that is occupied letter Daad ض from the edges of the tongue. Letter Laam – ( ل) This letter‟s articulation point is from the nearest part of the sides of the tongue and the end of its tip, and what lies opposite to it of the gums of the first two upper premolars, the two upper canines, the two upper lateral incisors and the two upper front incisors. Its articulation point is the front edges of the tongue, whereas the ض is from the posterior edges of the tongue. 1. If there is a Fatha or a Dhamma before the word of Allah or Allahum, then laam in Allah will be heavy. 2. If there is a kasrah before the word Allah, then the Laam in Allah or Allahum will be light. 3. 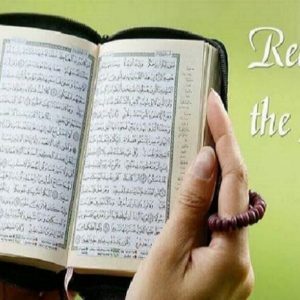 If the reader starts reading with the name of Allah, then Laam in Allah or Allahum will be heavy. 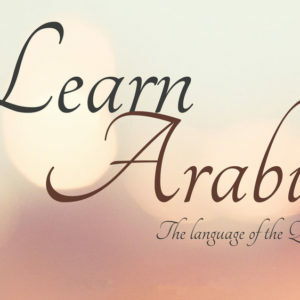 ( اللهــم – اللـه ). D- THE TIP OF THE TONGUE . It has 5 articulation points with 11 Letters. 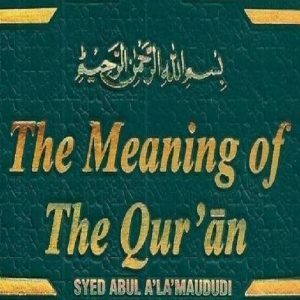 3- ( د ط ت ). 4- ( ص س ز ). 5- ( ظ ذ ث ). Sharing ghunnah (nasalization) during pronunciation from the Nasal cavity ) الخيشوم. that is causing theikhfaa (Hiding) of Noon sakinah. 2- (ر) This letter is emitted from the tip of the tongue with the gums of the two front top incisors after the makhraj of Noon. The tip of the tongue need to strike the gums to produce this sound correctly. There should be no trilling of the tongue when pronouncing this letter. 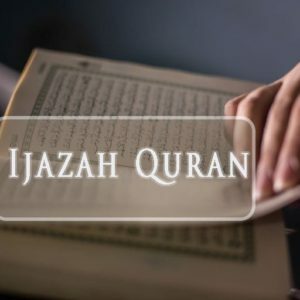 Ra ( ر )letter sometimes has tafkheem and sometimes tarqeeq according to its case and these cases will be explained in another lesson in shaa’ Allah. (root) of the two front upper incisors. The gum line is exactly where the gum meets the teeth. This group is called الحروفَ النطعٌية due to their articulation position close the elevated area above the gums. 4- ( ص س ز ) These three letters are emitted from the tip of the tongue and the plates of the two lower incisors, the sound passes above the two front lower incisors between the upper and lower incisors. There is a little space left in between the tip of the tongue and the plates of the teeth when pronouncing these letters. These letters called الحروفَ الأسلٌية due to their emerging from the tip of the tongue,also called letters of ,الصفٌير which means “whistle”. They are called because they accompany with whistle type sound when they are emitted properly. 5– ( ظ ذ ث ) These letters are articulated from between the tip of the tongue (from the top side of the tip) and the edges of the two top front incisors. Care should be taken to make sure the top of the tip is really colliding or separating (depending whether there is no vowel or a vowel) with the edges of the teeth and not the plates of the teeth. The back part of the tongue rises up to the roof makes the letter sound heavy. These three letters are grouped as الحروفَ اللثوٌية because their articulation point is some what close to the gums.